Plumas Charter School (PCS) was granted a special use permit July 11 during the Plumas County Planning and Building Services Department’s zoning administrator hearing in downtown Quincy. The permit will allow construction of a new, permanent home for the PCS alternative learning center (Quincy site) and administrative offices. The project is planned in a residential zone situated at 129 Kelsey Lane off Quincy Junction Road near the high school athletic fields. County staff explained the hearing was not a rezoning meeting; schools require special use permits in all zones for which they are allowed. PCS Executive Director Taletha Washburn testified at the hearing. Accepting testimony in support of, and in opposition to, the school building project proposed for the 5.32-acre site, Planning Director and Zoning Administrator Randy Wilson green-lighted the construction effort by adopting a mitigated negative declaration. The negative declaration contains various conditions of approval that cover specific measures PCS must take to mitigate potential environmental impacts. For example, beyond typical conditions concerning things like water, sewer, soil and other protections, the construction schedule must avoid the nesting season of nearby migratory birds. Work at the site must also reduce the potential spread of invasive weed species. And in the event unanticipated “cultural resources” are found at the site, measures have to be in place to deal with historic/prehistoric artifacts or human remains. The special use permit was sought to allow construction of a 15,000-square-foot school facility on the property to serve 200 students and 15 staff. PCS owns the property, which was donated to the school. The parcel is zoned Single Family Residential-7 and would potentially allow construction of up to seven homes per acre, a designation that could accommodate approximately 35 homes, with a subdivision permit. Receiving the special use permit makes it possible for PCS to build on the property without a general plan amendment or rezone. Two letters of opposition were received from Kelsey Lane neighbors adjacent to the subject property. Lynn and Jim Dow live in the historic 150-year-old Clinch home on the Kelsey Dairy. Beyond their desire to retain their “superb views of pastureland, ridgelines, Spanish Peak and Mount Pleasant” that they described as intrinsic to their historic property, they submitted concerns about soil instability at the site. In their letter, the Dows requested additional consideration of the proposal at the county level, writing about their observations over many years of muddy conditions, poor drainage and pooled water causing the land to remain wet for long periods. Zoning Administrator Wilson commented on one issue. Local Feather River College English instructor Will Lombardi has lived on Kelsey Lane since 1990. He attended the permitting meeting in person to register his “adamant and emphatic opposition” to the charter school’s building proposal for the vacant parcel on his street. He expressed concerns about water table issues, delays for lumber mill vehicles from Lee Road, and traffic congestion due to a mandatory new 25-mph speed limit that would be extended to Quincy Junction Road around the school site. He stressed the value of the land as open space and estimated inevitable cost overruns would plague the project, forcing PCS into debt. Lombardi explained he had made an extensive review of planning department documents relating to development of the considered site, including prior interest in the location by the local California Highway Patrol office that ultimately decided against building there. “Some locals still call this site the shark pond and the building department even has an old photograph of a fin sticking out of the middle of it (the site) in a pool of water!” he said, citing concerns about the social, environmental and economic viability of the school project. “This site is a historic wetland,” Lombardi testified, adding it was once deemed unsuitable for building, then improperly filled without regard for (soil compaction) conventions. “It floods annually and supports wildlife, but it is now characterized as a buildable site by the charter school in a last-ditch effort to find a permanent facility,” he said. In support of the special use permit application, Supervisor Lori Simpson addressed the hearing. She said she grew up in Quincy and used to drive without problems through Kelsey Lane to get to the high school. Nick Trover, project manager for the charter school’s construction plan, also testified. Zoning Administrator Wilson advised the audience the charter school project would not be carried out under the auspices of California’s Department of the State Architect. Rather, the site would be developed under the Plumas County Planning and Building Services Department. 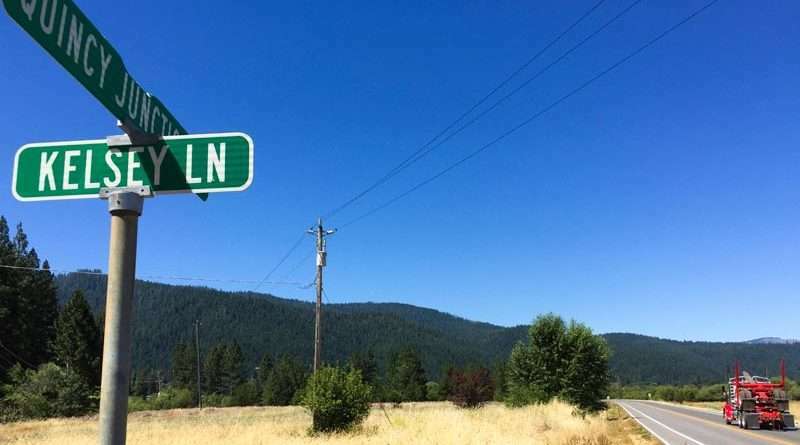 Anyone wishing to appeal the special use permit decision has until Monday, July 23, to file a request with the Plumas County Board of Supervisors at 520 Main Street, Room 309, Quincy 95971. For more information, call 283-6170.